Most people associate Munich with the Oktoberfest which spans over about 16 days at the end of September to the beginning of October. It is the world’s largest Volksfest with currently 14 tents, all serving beer, and festival food. It is a lot of fun! But there are more reasons to visit Munich than the Oktoberfest and a less busy time might be more enjoyable. Of course, its historic city center is beautiful; there are many creative shops, restaurants, and entertainment options. It is particularly pretty before Christmas when the lights are up, and the Christkindlmarkt is running. Neuschwanstein Castle also dubbed the Cinderella Castle. Salzburg, the city of music, and gateway to anything related to the Sound of Music. Hallstatt, picturesque village set on a lake. 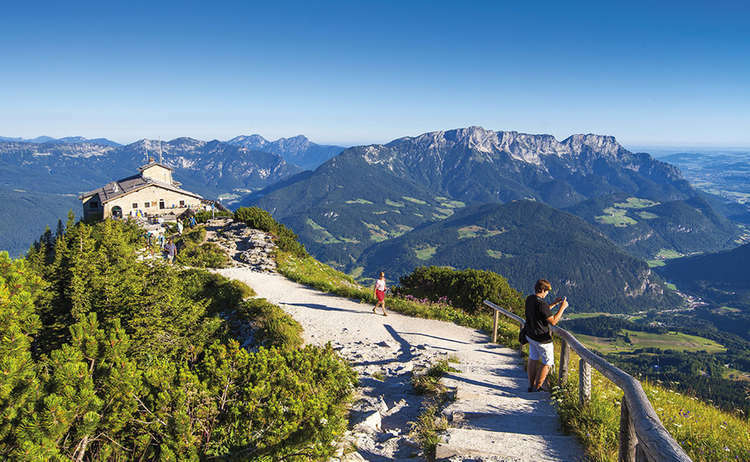 The Romantic Road, a scenic drive through Bavaria’s countryside with many medieval and romantic towns. Many of our clients combine Munich and the area with some other parts of Germany, or Switzerland for example. Rachel & Lee, combined Switzerland, with the Oktoberfest and Munich, and from there explored the Romantic Road. We are so excited that they shared some of their pictures with us, enjoy! This is the seventh destination highlight of twelve, leading up to the National #PlanForVacation Day on January 29, 2019. Don’t let your vacation days go to waste, plan a trip! This entry was posted in Europe, Germany, National #PlanForVacation Day. Bookmark the permalink.